Is sport really separate from politics? (👇 РУССКИЙ 👇) Is sport really separate from politics? It has happened, I have a special relationship with China because China has made my dream come true. When I studied at school I was crazy about athletics and I was kind of successful. First I won city competitions, then regional and then Russian. The living room wall in my parents’ house is full with medals and diplomas – my Father’s pride. The most cherished desire was to get to the Olympics. And I got it! But only as a spectator for the 2008 Beijing Games. This, incidentally, was my first trip abroad. My dream has come true twice. And I was amazed not as much as by the culture of the country (because, frankly speaking at that time it interested me least of all), but by scope of competitions. My mouth constantly blurred in a silly smile, and was periodically rounded for making “Oh! Wow!” sounds. In my family the Olympic Games are a huge event. All of us are somehow involved in sport. My father is a Sport Master in all kinds of pursuits. He can play soccer as well as he can play volleyball, and he can ski as well as he can skate. 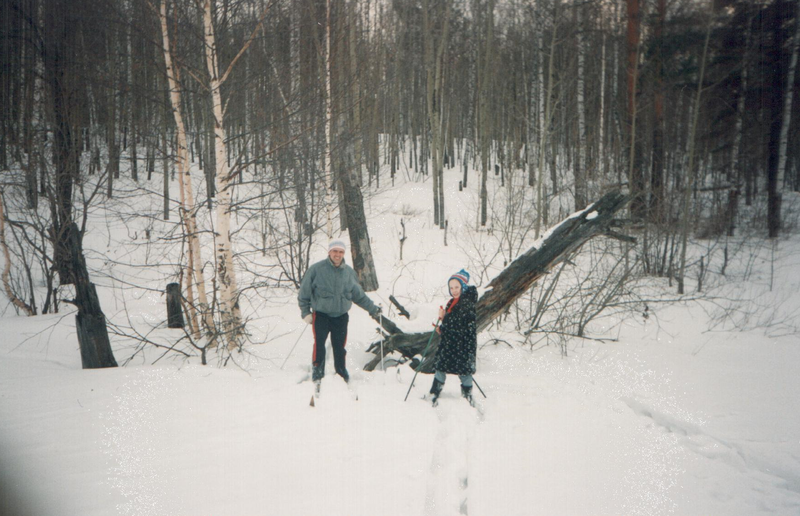 I remember how he taught us to ski. Pulling and pushing me uphill, and then my younger sister, and then my Mother! Oh, it’s not easy work to drag three hippopotamuses uphill! He, probably, regretted a hundred times starting this training. Me and my best trainer! My sister ran too. 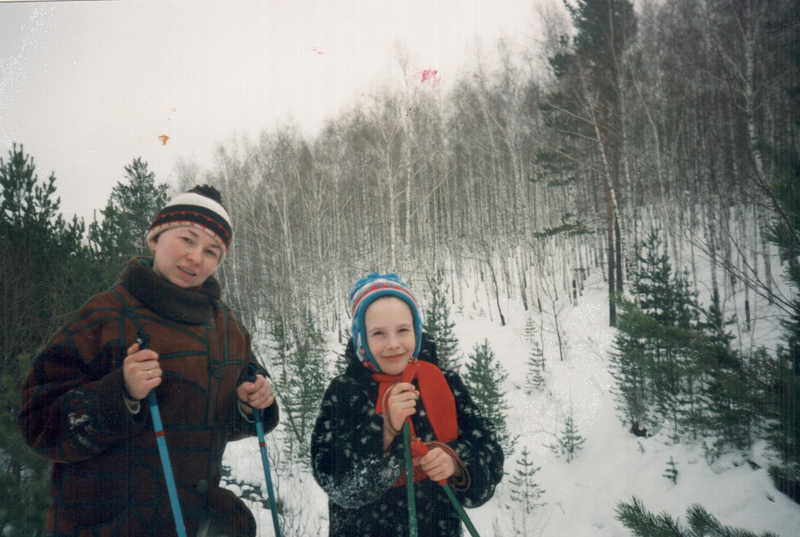 And my mother regularly packed our bags, cooked chicken soup before race starts, wiped our tears when defeats came and jumped to the ceiling together with us when everything went cool. It seems she is so far from sport, but at the same time so close! Now I watch not only running fights, but also biathlon! I really adore these! The names Martin Fourcade, Johannes and Taree Bø, Simon Schemp are heard more often than the names of my cousins. I meet them every five years when I come to Belarus, and these racers I see every winter! 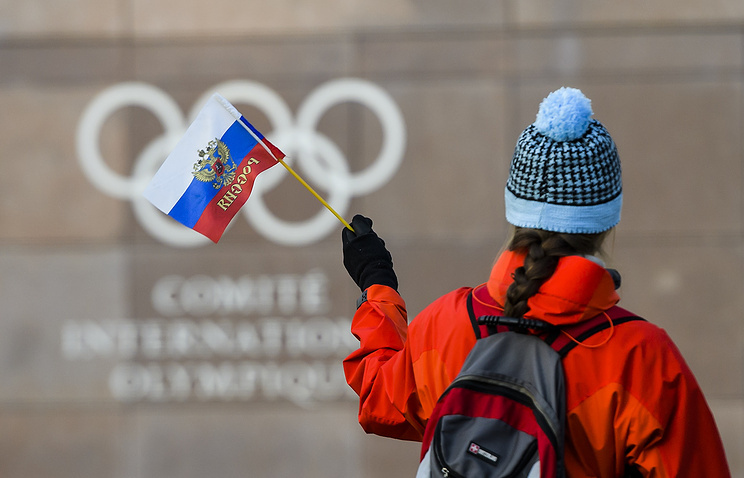 For me personally these Olympic Games will be remembered by persecutions of Russian Athletes by the Russian chairmen. It’s like, them going to the Olympic Games under a neutral flag somehow means they betrayed Russia. It is easy to judge them from the heights of the oratorical stands. But if the person devoted all his life, having plowed for every decade, and by their own sweat and blood went to these treasured Olympic rings? And just trying to keep yourself at peak form before the next Olympic Games, for the next four years! Only Bjorndalen can! He is never-ending! And I am infinitely proud of those sportsmen who weren’t afraid of this bureaucratic impudence from the Russian officials and nevertheless have come, are participating and are winning. Success of the country is a progress of specific people and not just the colors of a flag! And honestly I don’t care that our hymn doesn’t play. We will sing it ourselves! These Olympic Games of course for the entire world community, will be remembered for the discharge of the Russian team. But let’s be honest, without the Russian athletes these Olympic Games would have been buffoonery! Well, it doesn’t happen like this! Even to a wedding all relatives are invited! Even the least beloved relatives. And here, of course, we can discuss it as long as we want. And there are heaps of questions. Is sport really separate from politics? Discussing this subject with my Chinese colleagues, friends and students, they sympathetically said that all this business and provocation is just to steal the ground out from beneath the feet of Russian people. And how they protect us! Creating newer and newer arguments in favor of our innocence! I personally believe that they do it very sincerely, but not because of relations between Russia and China growing stronger day by day. Actually, it is difficult to tell if Chinese people are a sporting nation or is it because modern children have other priorities. For example, I constantly see my students with books; they have too much homework, different extra lessons of Chinese and English, mathematics and physics so by the end of the week they are like a dish-towel. But the new week is already waiting for them! Short break! That’s all that they need. And here elderly people are unanimously in the park doing physical exercises, having dance classes, someone is stretching, someone is waving their arms, someone is just walking, but all are busy doing something. But nevertheless there are some sports idols. For example, Liu Xiang is the Olympic champion from 2004, running the 110 m hurdles. He is the world record-holder, the first Chinese athlete who won this event in the Olympic Games. Yao Ming is a huge basketball player whose growth is no more and no less than 2.29 m. Here on these two guys the entire Celestial Empire is leveled! Chinese also support badminton and table tennis players. And admire the women’s volleyball team. But did you notice that all of them represent summer sport? What is the situation with winter sports like? Actually everything is much simpler. As my colleague, who adores playing badminton while on his days off, told me that in China there aren’t a lot of platforms for winter sports, so they are not so popular. No, of course, they watch, and even support the women’s curling team. Because “they recently became very good, even competing with Canada ” (literally according to my boss). But the main reason why millions of Chinese eyes are directed to the screens of TVs is in another. It is known that the 2008 summer Olympic Games took place with big scope and success in Beijing. 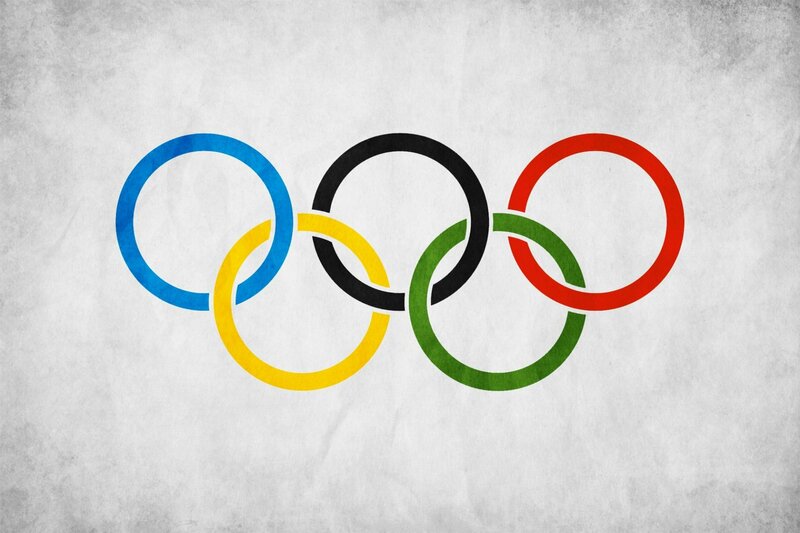 Many people said that these Olympic Games were one of the best ever organized. And as all of us know, the next Winter Olympic Games in 2022 will take place in Beijing again. Thus, Beijing will become the first city hosting both the summer and winter Olympic Games. Is it honorable? Of course! And, of course as a good host, China wants sportsmen all over the world to come back with the words of gratitude and eyes full of admiration again and again. That is why the whole country has clung to the blue screens, and those who are richer have arrived in Pyeongchang to inspect the Korean games and with their own eyes personally consider all defects and skillfully smooth them before 2022. Of course, Chinese deeply respect their athletes. All boys bounce a ball in PE lessons because they want to be like Yao Ming. And in general, it isn’t accepted to dishonor a family. And China is like one big family. The collectivism is strongly developed. And each person, each athlete in particular tries to extol China in the eyes of the world community. And of course, some people can say that there are too many people, each person is as a grain of sand in the ocean or something like this. However small but precious. Therefore each victory is extremely important! The Chinese government doesn’t stint on praise. The athlete who has won a gold Olympic medal gets double profit: from the province in which he lives, and from the country in general. The sum can reach one million yuan (6 yuan is roughly on one American dollar). For a victory in the white Olympic Games – they get half of this. Now it is clear, I think that the Olympic Games attracts bigger interest? But, despite of everything, Chinese are actively preparing to host the Winter Olympic Games. So strange for locals, but for the whole world the winter games have the same importance as the summer games. And if foreigners consider this business noble, then the Chinese will support the initiative. Because everything that is done by the foreigner can’t be bad! А действительно ли спорт вне политики? Мы совместно с блогерами со всего мира специально для журналом Zima решили поделиться нашими взглядами на прошедшую Олимпиаду в Корее. Что из это получилось, читайте по ссылке. Так сложилось, что у меня особенные отношения с Китаем. Дело в том, что когда-то именно он осуществил мою мечту. Еще в школе я «болела» легкой атлетикой, и даже вроде получалось. Городские соревнования, потом краевые, а дальше всероссийские. Стена в гостиной усеяна медалями и грамотами – папина гордость. Тогда самым заветным желанием было попасть на Олимпиаду. И я попала! Только зрителем в 2008 в Пекин. Это, кстати сказать, была первая поездка заграницу. Мечта сбылась дважды. И я была просто поражена ни сколько культурой страны (потому что, честно сказать, тогда она интересовала меня меньше всего), а сколько размахом соревнований. Рот мой постоянно расплывался в придурковатой улыбке, периодически округляясь для «О! Вау!». В моей семье Олимпийские игры – это целое событие. Мы все каким-либо образом причастны к спорту. Мой папа – мастер спорта по всем видам спорта. Он и в футбол, и в волейбол, и на лыжах, и на коньках. Помню, как он учил нас кататься на лыжах. Затягивая, просто запихивая меня в гору, а потом и младшую сестру, а потом и маму! Ох, и не легкая это работа в гору тащить три бегемота! Он, наверное, сто раз тогда пожалел, что затеял это обучение. Три бегемота: неполный состав. Сестра, видимо, еще запихивается папой в гору! Наш тренер, идейный вдохновитель и папа в одном лице! Моя сестра тоже бегала. А моя мама регулярно собирала нам сумки на соревнования, готовила куриные бульоны перед стартами, утирала слезы при поражениях и скакала до потолка вместе с нами, когда все получалось. Вроде бы так далека от спорта, но в тоже время так близка! Так получилось, что именно спортивный купидон свел меня с моим мужем. Он занимался биатлоном. После нескольких тщетных папиных попыток научить меня забираться в гору «елочкой», я уж перекрестилась, что моя лыжная «карьера» закончилась, но нет! Теперь уже с мужем я регулярно выезжаю в лес, чтобы покататься! Теперь я уже даже различаю классику от конька. И кататься у меня не плохо, кстати, получается. Теперь благодаря мужу, я слежу не только за беговыми баталиями, но и за биатлонными! Просто обожаю! А имена Мартен Фуркад, Йоханес и Тари Бё, Симон Шемпп звучат чаще, чем имена моих двоюродных братьев. С ними я вижусь раз лет в пять, когда приезжаю в Белоруссию, а с этими гонщиками каждую зиму! Для меня лично эта Олимпиада запомнится гонениями российскими чиновниками российских спортсменов. Мол, поехал на олимпиаду под нейтральным флагом – предал Россию. Им то легко судить с высоты своих ораторских трибун. А если человек всю жизнь посвятил, пропахав ни один десяток лет, с потом и кровью шел к заветным Олимпийским кольцам? И ты попробуй-ка, продержи себя на пике формы до следующей Олимпиады, следующие четыре года! Так только Бьорндален может! Он нескончаемый! И я бесконечно горда теми ребятами, которые не побоялись этого бюрократического нахальства со стороны русских чиновников и все-таки приехали, участвуют и побеждают. Ведь успехи страны – это успехи конкретных людей, а не цвета флага! И плевать, что не играет НАШ гимн. Мы сами споем его! Эта Олимпиада, конечно, для всего мирового сообщества запомнится еще и отстранением Российской команды. Но давайте будем честными, что без российских атлетов эта Олимпиада была бы сплошной буффонадой! Ну, не бывает же так! Ведь даже на свадьбу приглашены все! Даже самые не любимые родственники. И здесь, конечно, можно дискутировать сколько угодно. И вопросов возникает куча. А действительно ли спорт вне политики? Обсуждая эту тему с моими китайскими коллегами, друзьями и студентами, они сочувственно заявили, что все это бизнес и провокация, чтобы выбить почту из-под ног у русского народа. И ведь как они защищают нас, приводя все новые и новые аргументы в пользу нашей невиновности! Я лично верю, что делают они это очень искренне, а не, потому что отношениями между Россией и Китаем крепчают день ото дня. На самом деле, сложно сказать китайцы спортивная нация или нет. Потому что у современных детей другие заботы. Я, например, постоянно наблюдаю своих студентов за книжками или учебными пособиями, у них так много домашнего задания, разных дополнительных уроков китайского и английского языков, математики и физики, что к концу недели они как выжатый лимон. А ведь впереди новая! В общем, сил взяться негде. А вот пожилые люди все как один в парке на зарядках, на танцах, кто-то замер в растяжке, кто-то руками машет, кто-то просто ходит, но все чем-то заняты. Но все же и здесь есть свои спортивные идолы. Например, Лю Сян – олимпийский чемпион 2004 в беге 110 м с барьерами, мировой рекордсмен, первый китайский легкоатлет, выигравший олимпийские игры. Яо Мин здоровенный баскетболист, рост которого составляет ни много, ни мало 2,29 м. Вот на этих двух парней ровняется вся Поднебесная! Китайцы так же поддерживают своих в бадминтоне и настольном теннисе. А еще восторгаются женской волейбольной командой. Но заметили, что все являются представителями летних видов спорта. А как обстоят дела с зимними? На самом деле все намного проще. Как ответил мой коллега, который обожает играть в бадминтон по выходным, что в Китае не так уж и много площадок для зимних видов спорта, стало быть, не так уж и популярно. Нет, смотреть то они смотрят, и даже болеют за женскую команду по керлингу. Потому что «у них уж очень хорошо стало получаться, даже с Канадой соперничают» (дословно со слов моего босса). Но главная причина, почему миллионы китайских глаз устремлены к экранам телевизоров, кроется в другом. Как известно, в 2008г. в Пекине с большим размахом и успехом прошла летняя олимпиада. И очень многие поговаривают, что эта Олимпиада была одной из лучших в плане организации и проведения. И как мы все знаем, следующая зимняя Олимпиада 2022 пройдет снова в Пекине. Таким образом, Пекин станет первым городом, принимавшим и летние, и зимние олимпийские игры. Почетно? Очень! И, конечно, Китаю как радушному хозяину очень хочется, чтобы к нему возвращались снова и снова со словами благодарности и глазами полными восхищения. Вот и прильнула вся страна к голубым экранам, а тот, кто побогаче, приехал в Пхенчхан, чтобы проинспектировать Корейские игры и лично своими глазами рассмотреть все недочеты, чтобы мастерски сгладить их в 2022. Конечно, китайцы глубоко уважают своих атлетов. Все мальчишки мастерски набивают мяч на физкультуре, потому что хотят быть. Правильно! Как Яо Мин. Все верно! Да и вообще, здесь не принято позорить семью. А Китай – это как одна большая семья. Очень уж развит коллективизм. И каждый человек, каждый спортсмен в частности старается превознести Китай в глазах мирового сообщества. Кто бы, что там не говорил, что народу много, каждый человек это как песчинка в океане и все в таком же духе. Однако мал золотник, да дорог. Поэтому каждая победа на вес золота! И китайское правительство не скупится на похвалу. Спортсмену, который выиграл золотую олимпийскую медаль, полагается двойная прибыль: от провинции, в которой он живет, и от страны в целом. Сумма может доходить до миллиона юаней (умножаем грубо на 10, получим российские рубли). За победу в белой олимпиаде – вполовину меньше. Теперь понятно, думаю, какая олимпиада вызывает больший интерес? 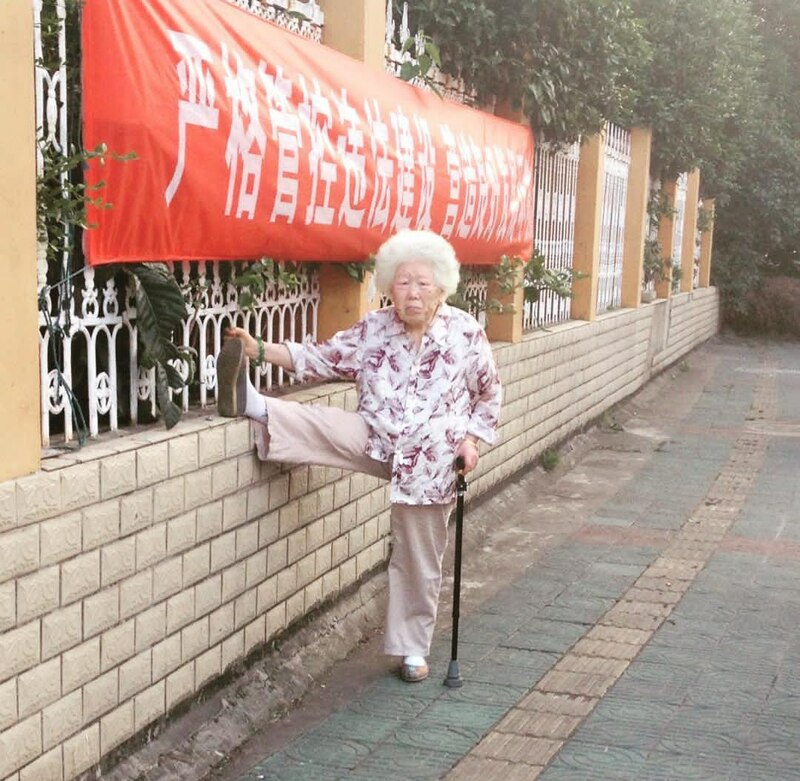 Но, не смотря ни на что, Китайцы активно готовятся к проведению немного странной для них зимней олимпиады. Пусть странной для местных, но для всего мира такой же важной, как и летней. А если иностранцы считают это дело благородным, то и китайцы поддержат инициативу. Ведь все, что делает иностранец, уже априори не может быть плохим! Больше о жизни в Китае, читайте по ссылке. Next Nepal. Nepal? Nepal!!! Let’s remember everything.